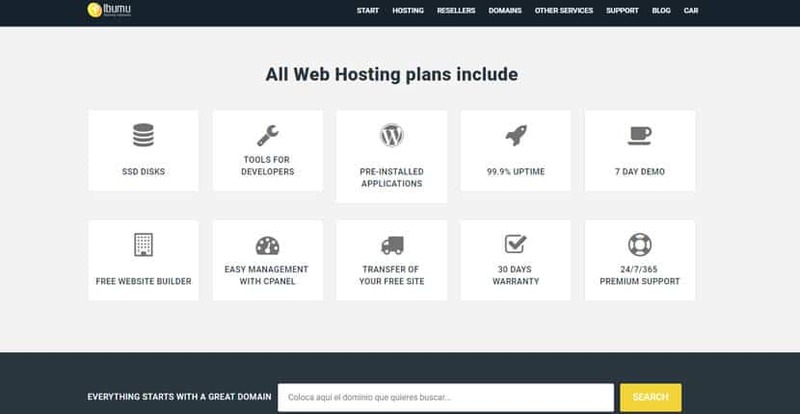 Ibumu.com Review 2019: Is Ibumu.com a Good Hosting? Ibumu is an Argentinian hosting provider that specializes in CMS hosting and serves a South American customer base. Established in 2008, they have since risen to be able to compete with even the top web hosting brands in the region. Ibumu is an Argentinian hosting provider that specializes in CMS hosting. They serve a predominantly South American customer base, including Chile, Argentina, Ecuador, Peru, Mexico, Guatemala, Colombia, and Venezuela. Established in 2008, Ibumu’s specialization has allowed them to quickly rise to compete with even the top web hosting brands in the region. Ibumu specializes in three main Content Management Systems (CMS): WordPress, Joomla!, and OpenCart. Opting for any of these three CMSes will give you an account that’s been pre-installed with your selected CMS so you can get started immediately. After that, they’ll take care of all the updates on their end, so you won’t have to worry about outdated installations having security vulnerabilities that can be exploited by hackers. With Ibumu, you also get the extra perk of having hundreds of professional themes and plugins at your disposal right from the start rather than having to come up with your own. On top of that, your website will go through automatic compression and caching, which will improve the loading speeds for your visitors. E-commerce website owners will also be happy to know that every hosting package includes a free SSL certificate. Each level up gives you another gigabyte of storage and 10GB of monthly bandwidth, up to a maximum of 4GB storage and 40GB monthly bandwidth. This appears to be one of the downsides of Ibumu: if you host a media-heavy website, you may find their 4GB storage cap restrictive. Ibumu does purport to have SSD shared hosting, cloud hosting, and reseller hosting packages available. However, there’s not much information available on their cloud hosting, so it may be a service that they plan to offer in the future rather than something they already have. If you’re planning on hosting multiple websites or if you require more space and bandwidth, choose their reseller hosting or SSD Web Hosting Plan Pro at a minimum. This is where the advantages of Ibumu’s CMS specialization prove strongest. Their WordPress, Joomla!, and OpenCart hosting plans are an incredible value, especially considering that they offer dedicated CMS support in all of their plans. The Joomla! plans have a seven-day free trial, while the OpenCart and WordPress plans have a 14-day free trial. Besides that, Ibumu offers a seven-day free trial of their shared hosting services with no credit card details required. There’s also a 30-day full money back guarantee should you be dissatisfied for any reason. Thereafter, if you encounter any major problems with the service and wish to cancel, they’ll give you a pro-rated refund based on the remainder of your contract. According to Ibumu, only 3.8% of their customers ever request support, which indicates that their service generally runs very smoothly. However, if by chance you do need help, you can reach them by submitting a ticket through your client portal. They claim to offer live chat, but this was non-functional when I tried it. Ibumu has competitive CMS-specific hosting plans that are excellent for the South American market. However, given the limited storage, bandwidth, and number of hosted domains per account, they may be best suited for individuals and small businesses rather than large corporations. Wondering how Ibumu.com stacks up against other Web Hosting companies? Enter any other Web Hosting company and we will give you a side-by-side comparison.